We at Peak Transfer like to think of Saint-Gervais as the French’s best kept secret. It’s an absolute gem of a resort, one of the oldest in fact, but still remains relatively unexplored by anyone other than the French. Saint Gervais offers some of the best and varied skiing and boarding in the Alps for probably one of the cheapest lift passes. It offers such great value for many not only for lift passes but the accommodation, restaurants, bars and shops are far more reasonable than you would find in nearby resorts and probably the French Alps in general. Maybe the fact that it’s located between the famous and popular resorts of Megeve and Chamonix is the only reason this all-encompassing beauty of a resort and in no way inferior, is not well known to the masses. But we kind of like it that way so shhhhhhhh….. keep it between just us and you! For those of you that have not heard of Saint Gervais or would like to know more, it was originally (and still is) a spa town due to its natural thermal springs welcoming visitors for many centuries to it healing waters at the Thermes de Saint-Gervais. Located in the stunning Haute-Savoie Region of the French Alps in the L’Arve Valley with probably the most prestigious views of Mont Blanc possible with your feet firmly on the ground. At only 60-minutes by road from Geneva it boasts one of the fastest resort transfers anywhere in the Alps. The small village high street is filled with cafes, restaurants, bars, souvenir and ski rental shops. There are always activities and events taking place in the village square or around the resort most specifically aimed at children and families. Children here are really welcomed with open arms and have a lot of additional places and activities to keep them occupied. This has been recently recognised with Saint Gervais having just been nominated by the 2015 World Snow Awards for Best Family Ski Resort in the world! Not bad ay! Although you can have a fabulous night out in Saint Gervais it’s more of a hearty savoyard meal and sociable drink in the bars with friends and family. There are no night clubs and the bars don’t lift the roof, but the village is none the worse for that. If dancing on tables until the early hours and hitting the nightclubs are more your scene then you may want to head to Chamonix. That being said with the recent addition of the notorious Folie Douce chain hitting the Saint Gervais slopes last season with great success the locals and holidaymakers alike know how to have a good time. Saint Gervais is the place to go if you want a quaint quiet french alpine village with all the amenities you would need that’s family and wallet friendly. The Saint Gervais resort is part of the extensive Evasion Mont Blanc Ski Area including Saint Gervais itself and neighbouring villages of Megeve, Saint-Nicolas, Les Contamines, Combloux and a few other little areas you are truly spoilt for choice when it comes to ski terrain. With over 400km of piste much of which is beautiful treeline skiing which is also beneficial when the weather sets. On the occasional bad weather day you are less likely to loose a precious day skiing being protected from the sheltering Mont Blanc and the trees. There is a strange stigmatism attached to Saint Gervais and Evasion Mont Blanc Ski areas of it being a low altitude resort. Admittedly, Saint Gervais village itself is nestled into the valley at 800m but with all pistes bar one situated between 1100m to 2500m this does not affect the ski terrain and snow coverage that many suspect. Great news for the competent skiers amongst you as many of the more challenging terrain is quiet and there is fresh snow long after a powder day. The gondolas from St Gervais and Le Bettex takes you straight up to the heart of the ski area enabling you to access Saint Gervais and Megeve etc. where you have some of the finest and prettiest skiing in France. One of the key benefits of the Evasion Mont Blanc ski area is that much of the resort is interconnected not requiring extensive travelling between ski areas. With 220 pists, amounting to 445km accessed by 107 lifts. The following Ski areas are covered: Saint-Gervais, Saint-Nicolas de Véroce, Megève, Rochebrune, Côte 2000, Les Contamines, Hauteluce, Jaillet, Combloux and La Giettaz. The area offers substantial and varied terrain perfect for familes and mixed ability groups. 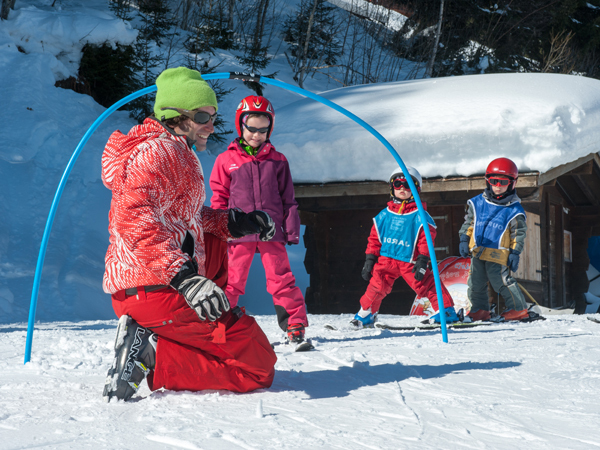 The lift passes are very reasonable at €225 and €180 for a 6-day adult and child (5-18yrs) Evasion pass respectively. There are significant family discounts available too. See the Saint Gervais Ski Website for more details. For those keen skiers staying a little longer, wanting that little bit more terrain to choose from, or plan to take in the sites such as the Aiguille du Midi and Tramway du Mont Blanc have Saint Gervais. This is your you have hot the jackpot as new this season the Evasion Mont Blanc and Chamonix Ski areas have partnered up in order to offer the Mont Blanc Unlimited Ski pass, which is truly unlimited in all meanings of the word. The Mont Blanc Unlimited Ski Pass includes the following ski areas stretching three different countries: Evasion Mont Blanc, Chamonix Valley (Grands Montets, Brévent-Flégère, Balme Tour Vallorcine, Les Houches, Aiguille du midi, Tramway du Mt Blanc, Train du Montenvers Mer de Glace), Courmayeur (Italy), and the Verbier 4 vallées in Switzerland. All in all we feel that Saint Gervais is a great and perhaps under acknowledged resort with great charm, character, skiing and amazing views that will keep you coming back. We promise you will not regret a ski holiday to Saint Gervais and can think of few better places in the French Alps. If you require a transfer to Saint Gervais, Megeve or Les Contamines from Geneva Airport for you next Ski Holiday then why not get an immediate online quote or book swiftly and securely online now at www.peaktransfer.com.